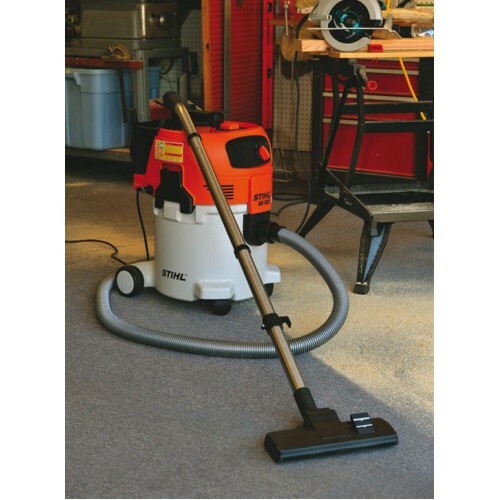 The STIHL SE 122 is a universal wet and dry vacuum cleaner for professional applications. 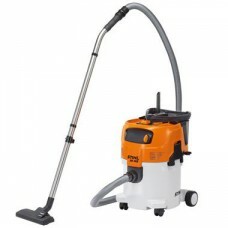 With multiple filter system, integrated accessories box and suction tube holder. Wet/dry vacuuming options, filter cleaning, filter element/bag, castors with locking breaks, stainless steel handle with quick-release coupling. 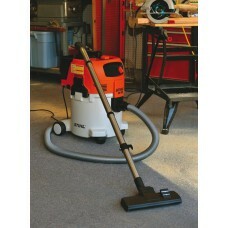 With speed control and soft start. 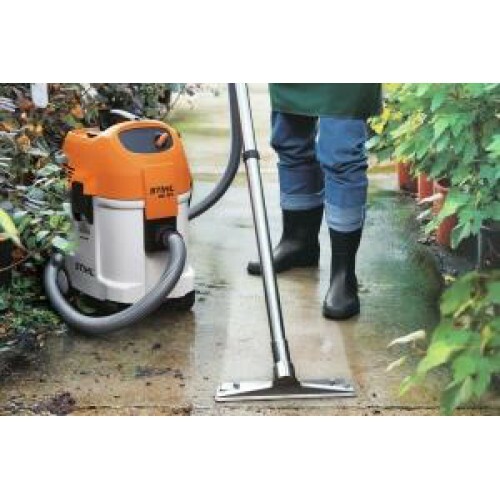 With filter cleaning function, quick-release coupling, swivel wheels with locking brake and all-purpose universal nozzle. Multiple filter system and 3 metre stainless steel suction tube.